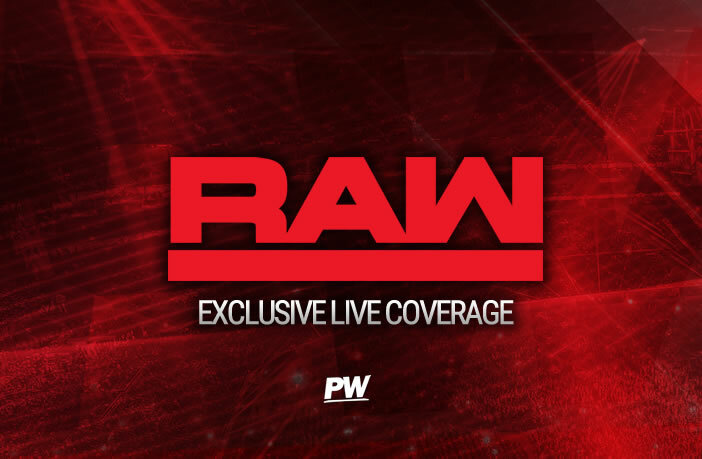 Welcome back to your exclusive LIVE coverage of WWE Raw! It’s the go home show to the Royal Rumble this Sunday, and the Beast Brock Lesnar has a new challenger in Finn Balor. How will Balor follow up his amazing performance last week as he goes into the fight of his life? Also, what words will Sasha Banks have for Ronda Rousey before their big title match on Sunday and their heavily anticipated tag team match tonight! Refresh the page throughout the night for continued coverage, and follow along in the comments below or on Twitter @pw_dotcom or @dougEwrestling. Coverage starts at 8/7C! We get a 10-Bell salute to honor the life and legacy of Dr. Martin Luther King Jr, in addition to a beautiful video package. We are LIVE from Oklahoma City, and we are LIVE with THE BEAST! The Universal Champion, Brock Lesnar is HERE, along with his advocate, Paul Heyman. The crowd is booing Lesnar heavily as Heyman is all smiles. Now we get chants of “Suplex City” and apparently Oklahoma can’t make up their minds. “Ladies and gentlemen…..my name is PAUL HEYMAN. And I am the advocate for the reigning, defending, undisputed, Universal Champion….BRROOOCK LESNAR!! !” Heyman says they are going to get down to business. He notes that last week on Raw Finn Balor pinned John Cena. He tells the WWE Universe that this was no fluke and there was no controversy. Finn Balor stepped up and seized the moment, so much so that John Cena took the mic in his hands and said that he believes in Finn Balor. The WWE Universe has stood up and also declared that they also believe in Finn Balor. Paul Heyman says that they should….because he believes in Finn Balor too. Him seizing the moment is the theme of his entire career, and Finn believes that he can capitalize on fate and circumstances and do it again this Sunday at the Royal Rumble against a champion who was ready to fight Braun Strowman. But now he has to defend his championship against someone who he has not trained for and has a completely different style. It is why Finn Balor comes out and says that he believes he will win. But this Sunday, Brock Lesnar, will turn Finn Balor into a martyr, sacrificed for the sin of making the crowd believe that he can conquer the unconquerable. Sacrificed for the sin of believing that he can slay the beast. Sacrificed for being an ordinary man who can pull off extraordinary miracles. Ladies and gentlemen…here is a spoiler for this edition of Monday Night Raw….even miracles fear Brock Lesnar. This Sunday night at the Royal Rumble Pay Per View event, Brock Lesnar will put to bed the ridiculous notion that Finn Balor belongs in the same ring as the beast, and Finn Balor will be the one who believes in Brock Lesnar! ……no chance…….NO CHANCE! THE CHAIRMAN IS HERE! Vince walks with his famous swagger down to the ring in a sharp navy blue suit. Vince tells Heyman that this could very well be the story of David & Goliath, and Goliath beat the holy hell out of David, but David was eventually victorious. But he says that if the people all believe that Finn Balor can beat Brock, then they truly believe in fairy tales! BRRAAAUUUUUNNNNN!! The Monster Among men is here and Vince does not look happy that he has been interrupted, but Brock is all smiles and looks ready to face the beast. Vince asks what the hell Braun is doing out here, and gets in the face of Brock Lesnar. Strowman says that last week, Baron Corbin cost him his Universal Championship match against Lesnar and $100,000. Strowman says that if Lesnar still has the Universal Championship after this Sunday, he will be waiting for him on the other side. And he will rip him apart just like one of Mr. McMahon’s limousines. AND HERE IS FINN BALOR! Oh jeez, this ring is getting crowded, and Balor Club is in full effect. Balor comes out and says that this is the same old Monday Night Raw. Braun is out here doing Braun things, meanwhile he is the guy who beat three other people last week. He says this in the face of Vince McMahon. Balor says that he earned his opportunity to face Brock. He tells Vince that he knows that he doesn’t believe in him, but he believes, and the Balor Club believes, and he will reclaim HIS Universal Championship. Braun gets on the mic and says that he doesn’t know if Finn can beat Brock, but he damn will better. Balor says that he will something that he has never done, which is beat Brock Lesnar. He says that Vince has the story mixed up. People didn’t know who David was, and Goliath fell down in the dirt, and then no one was laughing after that. Vince tells Brock to sit ringside, so they can see a David and Goliath moment right now, when Finn squares off against Braun Strowman…right now!